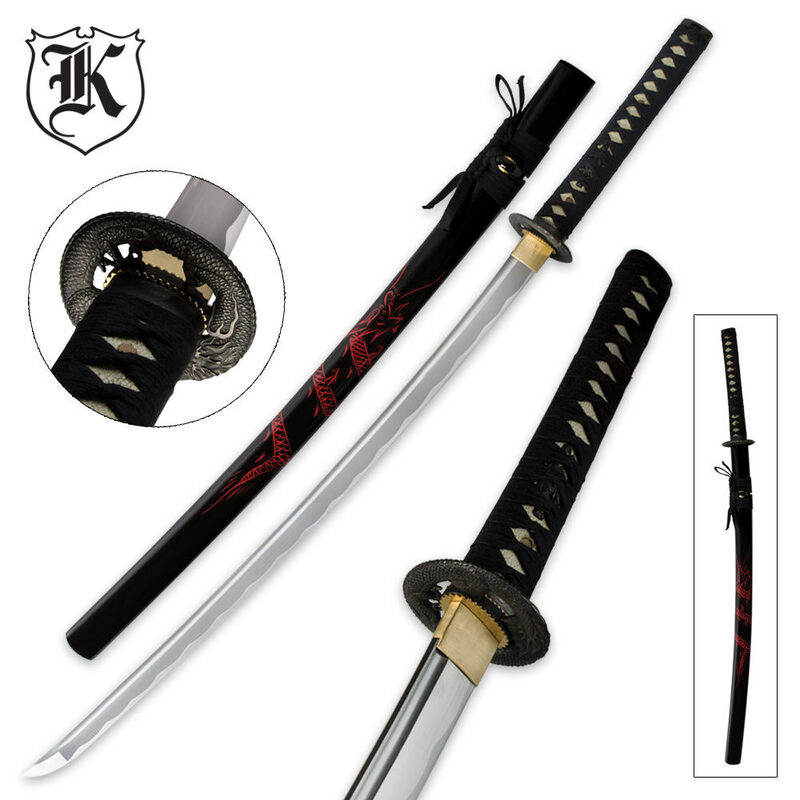 Oriental flare is the theme of this classic carbon steel katana sword, featuring a heavy 27" blade complete with a heavy blood groove and stunning forging patterns. 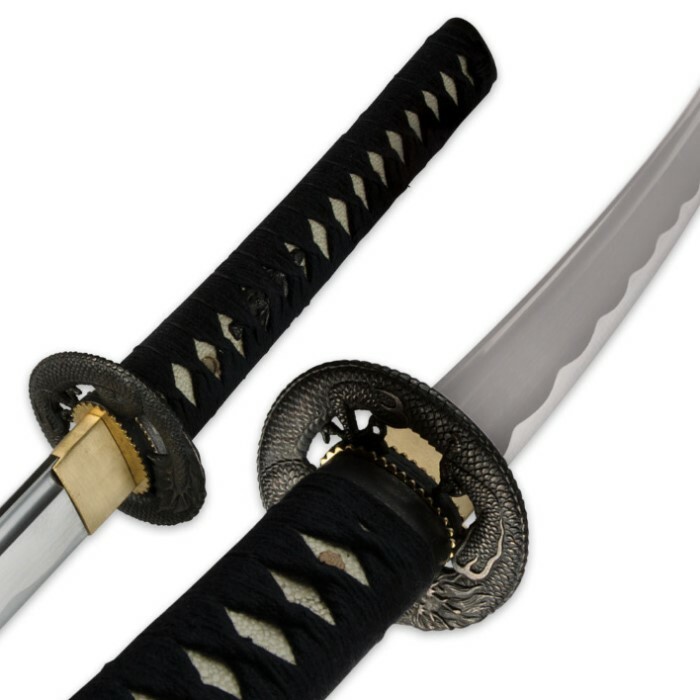 Ornamental accents such as the antique-finished zinc alloy habaki,tsuba and menuki give this katana a regal look and feel. Imitation ray skin and heavy black wrappings encase the oversized handle of this majestic masterpiece. 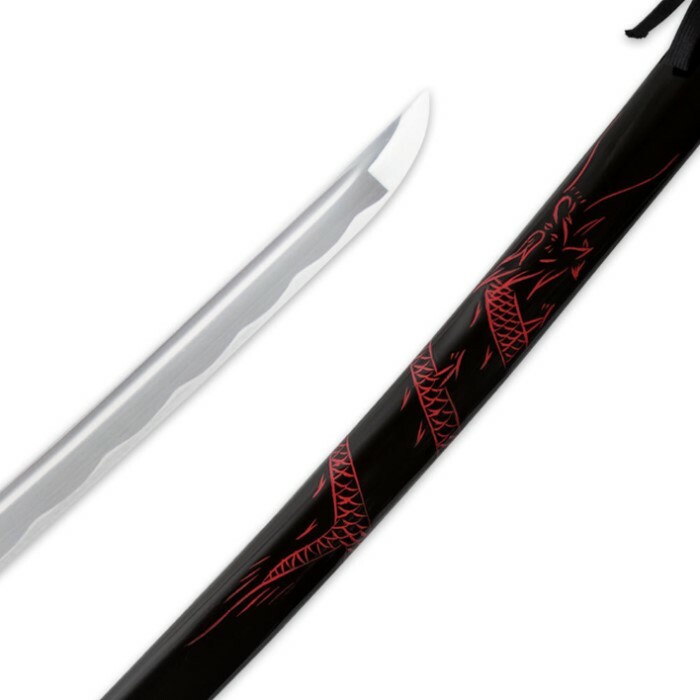 The smooth black scabbard features a hand-painted flaming dragon design with matching cord wrap accents. Measures 39" overall. Just bought this Katana and I have to say I love it. The detail is awesome. Came razor sharp just like the ad said. Definitely a quality piece.